"We need his power. We don't care whether the results [...] are good or bad. There are some things that only someone with the power can do." Anime Biography: The eldest of the three sisters which comprise Ultra-Rare, Suiko is their leader and is the one who initially presents Aichi with the King of Knights, Alfred. Ever composed, Suiko balances her sisters' conflicting personalities. Of Ultra-Rare, Suiko is the sister with the most direct involvement in the series' events. While Kourin and Rekka assist her in observing the regional and national competitions, it's Suiko who can sense the potential for PSY Qualia, and her who compels spotted talent to grow stronger. Though unconfirmed, she is greatly implied to have had a hand in Ren gaining Qualia one year ago. The only point at which Suiko loses her composure is in the presence of Kai, whom was the most hurt by Ren's quest for power. She appears visibly disturbed while watching his fight at the first Kanto regional tournament, is the only one of the girls to keep quiet when match is over, and Kai reinforces this reaction in ride 23 by refusing to go to her card shop. Furthermore, Ren himself is a high profile figure whom Ultra-Rare have ready access to such that they can call him into their shop at will, suggesting that Suiko knew him before his rise to power, and it is she that he approaches when thanking Ultra-Rare for PSY Qualia in ride 49. Upon meeting with Suzugamori in ride 23, Suiko makes arrangements to speak with him following the national tournament. Having confirmed his PSY Qualia, she states that she will only make her motives clear at that time. Suiko is all but confirmed to have some form of power that allows her to sense PSY Qualia, as well as Misaki's natural recall abilities. In ride 40 she has a flashback to an event she didn't see--Aichi's vision of Blazers' Pleasures, that he witnessed through a mutual reaction between his and Ren's Qualia. To her "chosen ones," Suiko is less than transparent. When Kourin suggests explaining themselves to Aichi in ride 43, Suiko shows hesitance, and ultimately doesn't reveal anything of their motives until much later, in ride 58. She is not above using even her own sisters as tools to achieve Ultra-Rare's goals; particularly, when Kourin challenges a PSY Qualia-possessed Aichi, she smiles as Aichi executes her sister using Qualia to induce a hallucination of the planet Cray, satisfied that Sendou has grown stronger. Kourin's commentary after her defeat shows that Suiko is not just the only member of Ultra-Rare to have something approaching Qualia, but is also alone in knowing what they're after. The other girls are searching blind, unaware of the consequences of their actions or what PSY Qualia really is. While Kourin seeks out Kai Toshiki late in the season, Suiko disapproves of what she calls being "too involved." And while her sister is away, Suiko is approached once again by Suzugamori Ren, to whom she first implies the existence of a third party at work by stating that if he is to be grateful for PSY Qualia, it should be to "Him." Suiko closes ride 50 satisfied by both of her chosen ones, eager to see their conflicting ideals clash. In ride 52 Suiko has another rare moment of upset, when Ren begins to divulge the nature of PSY Qualia on national television. 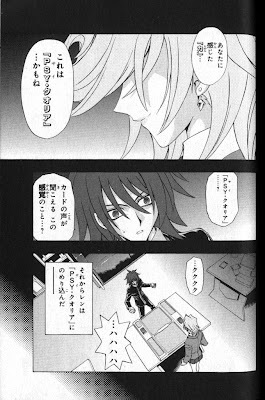 She later concludes after the fight between Aichi and Koutei that Aichi will not be able to defeat Ren without using his powers. She also states that all that matters is for Ren and Aichi to fight, as it will reveal the "true meaning" of PSY Qualia; when asked if that's "His" will Suiko does not answer. Finally, that evening Suiko and her sisters approach Suzugamori Ren for one last time, warning him that the "final judgment" is now. Suiko grants him one final stimulus to spur on his growth, offering to contract Ren either a card of darkness or a card of light. For choosing the card of darkness, Ren is gifted with Phantom Blaster Overlord, the crossridden form of his most favored vanguard. After Ren uses the card of darkness to crush Kai's attempt at bringing him back, he thanks her for it, leading Toshiki and Aichi both to question Suiko's actions. She states only that she needs his power, and that it Ultra-Rare does not care if the outcome is good or bad. 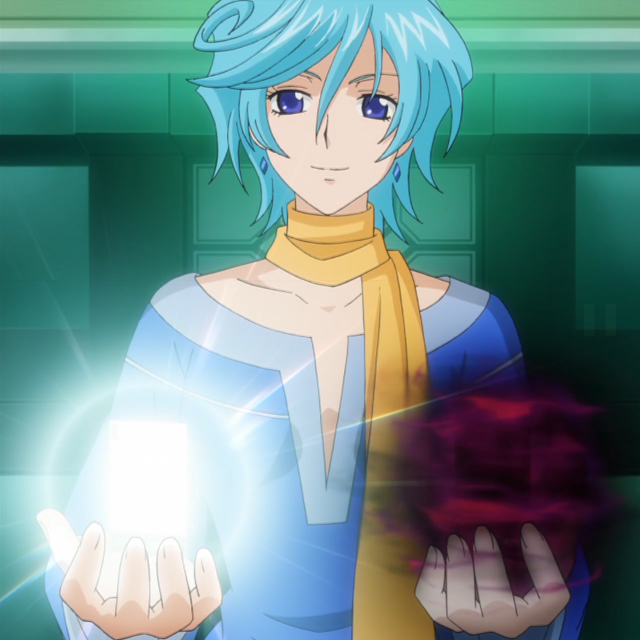 Having finished her business with Ren, Suiko prepares Aichi for the final battle by offering him an equal contract. "Suzugamori Ren chose a card of darkness. Light that consumes the darkness...Darkness that blankets the light. Sendou Aichi, which do you choose?" Sendou misses his chance to choose however, and the two cards merge to form Majesty Lord Blaster. Stating only that she believes this card to suit Sendou the most, Suiko retreats with her sisters to observe the final battle. It's at this time that Rekka becomes possessed by "Him" and the true nature of PSY Qualia as the synchronizing force between Cray and Earth is unveiled. Having observed Ren's defeat and the conclusion of the Royal-Shadow civil war from- the surface of Cray itself, Suiko's final instructions for her sisters are to disappear until they are needed again. In the second season, Suiko leads Ultra-Rare abroad to act as entertainers for the international VF Circuit. Suiko mostly takes a back seat role this season, while Tatsunagi Takuto fills her role as the season's antagonist and chief manipulator. Manga Biography: Though absent for the majority of the manga, Suiko appears in a flashback to when Ren, Kai and Tetsu were friends. It was she who broke the boys apart, by engaging Ren in a cardfight in which he would first make use of and become absorbed by the power of PSY Qualia. 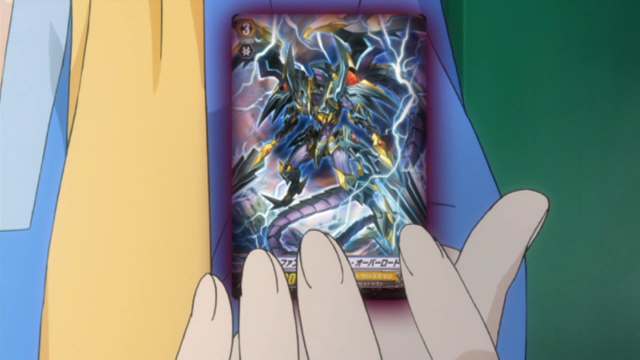 In volume 6 of the Cardfight!! 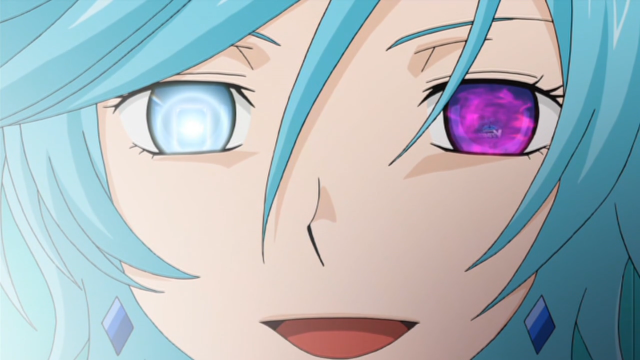 Vanguard manga, it is revealed when joining Aichi's class that her sister Kourin's surname is Tatsunagi, suggesting her to both be direct family to Tatsunagi Takuto and connected to the Tatsunagi financial group. As Kourin, Rekka and Suiko are all confirmed to be sisters, this also makes each of her siblings Takutos' family. Fan Culture: Her suspicious behavior and moral ambiguity, as well as her quotes regarding power late in season 1, and the unsettling facial expressions made by her in ride 58 have led Suiko to be compared unfavorably with Kyuubey, a Mephistophelean allegory from the popular 2011 anime, Puella Magi Madoka Magica. This quickly gave rise to the minor recurring meme surrounding Suiko's suspicious behavior and her being a "mastermind" behind anything wrong in the series. Originally Suiko was only shown to fight once, in the manga, and her specific deck was not shown. Her Japanese voice actor, Terakawa Aimi, cardfights at the pro level3 with a Megacolony deck that she describes as "insect love5." At the Fighter's Road 2012 Seiyuus VF Event Stage, Terakawa fought with the rest of her fellow voice actors (each of them using decks based on their own characters') using her Megacolony deck, which was speculated as pointing to Suiko herself using Megacolony4 . During the Asia Circuit, Suiko is shown to use an Angel Feather deck, to fit the motif that her sisters established for their idol group. Suiko's particular variation emphasizes the Pegasus series of cards, which gain power when cards are added to the damage zone, and capitalizes on this with Chief Nurse, Shamsiel who can swap cards in and out of the zone when she attacks through her limit break. To support Shamsiel, Suiko includes the Doctroid series of cards, which also add cards to the damage zone in order to bring limit break out early. Her play style is generally more defensive than others, preferring to outlast opponents rather than charge them. As Rekka herself noted that the clan had just been introduced when the Circuit began, and Kourin fought with a Royal Paladin deck in the first season, the possibility remains that Suiko was only using this deck because the other members of Ultra-Rare were doing so at the time. If she was a cardfighter before the VF Circuit, her original deck would have to have been a clan other than Angel Feather due to it not having existed prior to ride 66. 1. "Anime Expo 2012." CARDFIGHT!! VANGUARD. Bushiroad, 7 June 2012. Web. 7 June 2012. <http://cf-vanguard.com/en/event/animeexpo2012/#Guest%20Profiles>. 2. Cardfight!! Vanguard Ride 6. YouTube, 2012. Web. 7 June 2012. <http://www.youtube.com/watch?v=wePdtdHpHUg&feature=plcp>.